Traffic control is as simple as adding one of Rice Lake’s stop and go lights to your truck scale process. 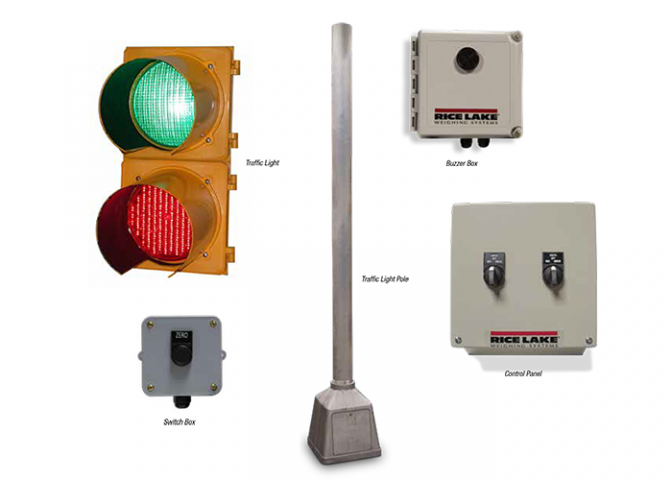 Stop Lights from Rice Lake offer industrial-strength lighting systems that will professionally communicate the universal red and green stop/go commands at a distance, keeping your process moving quickly and efficiently. Base underside has integrated anchor bolt guide to ensure proper anchor placement.